This week the parent company of New Jersey’s Borgata Hotel Casino & Spa has fired back at Kansas City-based playing card manufacturer Gemaco with the filing of a 34-page reply memorandum against a recent Gemaco filing that’s yet another act in the extended three-way battle in the high-profile Phil Ivey “edge sorting” case. Both the Borgata and Gemaco have sought summary judgment against each other in recent months. Borgata was forced to move forward with its claim against Gemaco earlier this year after winning a $10.2 million judgment against Ivey and his edge-sorting partner, Kelly Sun. 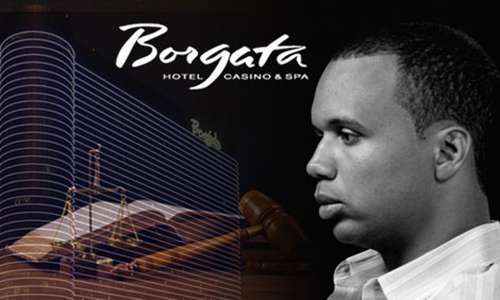 According to presiding judge Noel L. Hillman, Ivey’s appeal in the Phil Ivey portion of the case can not be allowed to move forward until the Borg’s separate claims against Gemaco have been resolved, and due to the complicated relationships between the three sides in this legal trial, a Borgata-v.-Gemaco trial appears increasingly likely. The bulk of the latest filing by the attorney representing Borgata’s interests, Jeremy Klausner, asserts that Judge Hillman must rule according to the letter of the NJAC (New Jersey Administrative Code), which asserts that cards used in casinos must be identical. That the letter and spirit of the New Jersey gambling code being debated here are in conflict is unquestioned; after all, it’s a physical impossibility to cut cards to perfect symmetry. Klausner and the Borgata are thus invoking an unobtainable standard in attempting to achieve their means. Most of this brief is more of that, including the trashing of expert opinions previously offered by Gemaco to that very effect. What’s new here, in large part, are the more plaintive beseechings by the Borgata that the court must find Gemaco liable, as it did with Ivey and Sun, and then allow Gemaco and the Ivey/Sun team to duke it out in court over how much each party has to pay Borgata. In the process, of course, the Borg continues to absolve itself of any responsibility or negligence in the entire, protacted edge-sorting affair, in which it catered to several extreme requests that anyone with an ounce of common sense would have seen in minutes had to be part of an edge-sorting scheme. That the security departments of several major casinos around the globe, including the Borgata, failed to display that common sense is one of the underreported aspects of the entire saga. If anything, this latest filing just cements the battle lines that have already been drawn. The Borgata’s case against Gemaco depends almost entirely on whether the presiding judge takes as absolute and literal a line regarding the cards in question as he did in the Ivey portion of the case. The Borg rally doesn’t care who pays them the $10.2 million, but if Gemaco prevails, it would give Phil Ivey additional ammunition for his appeal. More filings are due soon, in a first-of-its-kind case that’s rapidly turning into a legal wonder.